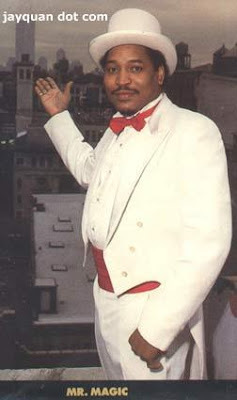 BlackRadioIsBack.com Music: The Going Way Back Show With Money B - Mr. Magic Tribute Show | BlackRadioIsBack.com - Official Blog of the Syndicated FuseBox Radio Broadcast! Golden Era MC Money-B (best known as a part of the classic Hip-Hop groups Raw Fusion and Digital Underground) has been doing a lot the past few years from still releasing music (solo and group projects), performing, acting, directing and more. Within the past year. 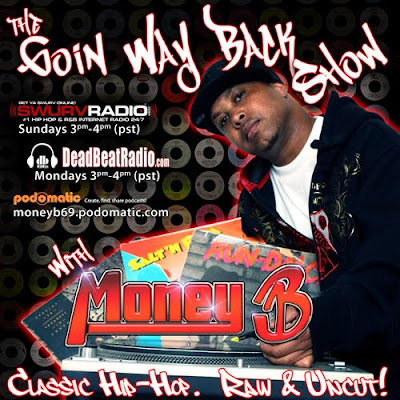 he has been hosting the dope "The Going Way Back Show" via internet radio powerhouse SwurvRadio.com, which has a focus on old school Hip-Hop & R&B music and interviews. Debuting in 1983 on WBLS-FM in New York City with the first exclusive rap radio show to be aired on a major station. Billing itself as "Rap Attack", Magic's show featured Marley Marl as the DJ and Tyrone "Fly Ty" Williams as the show's co-producer. Magic's reign on the New York City airwaves lasted six years and was instrumental in broadening the scope and validity of hip-hop music. Definitely a Pioneer. We pay homage with some of the music and artists he influenced. 9. Juicy - Notorious B.I.G.